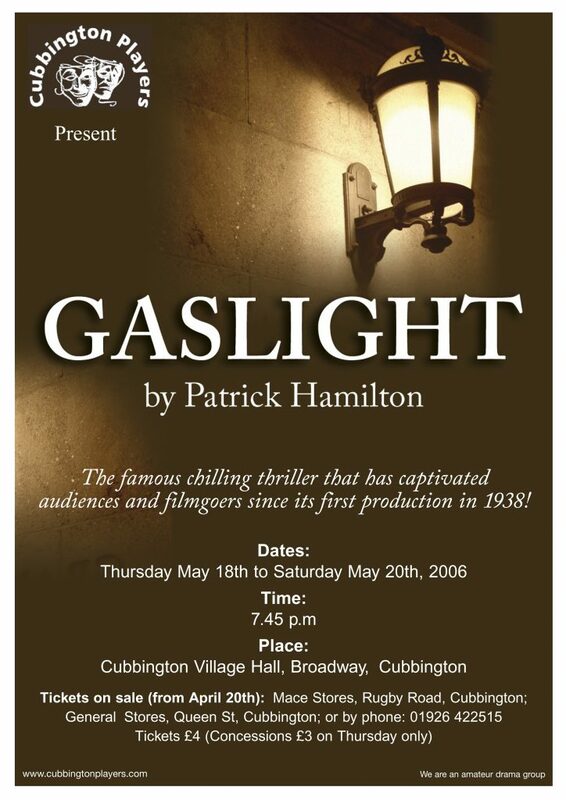 Written in 1938, Gaslight is one of the best known and loved of all classic thrillers. Ingrid Bergman won an Oscar for her role as Mrs Manningham in the film version, and the play has retained its power to enthral and grip audiences to this day. The scene is set in a London suburban house in about 1880. Victorian wives were subject to their husbands in almost every way, and Mrs Manningham is therefore completely at the mercy of a powerful and ruthless man who will go to any lengths to achieve his goal. The drama unfolds through the three acts as his motivation becomes clear. But can Mrs Manningham escape his grip?